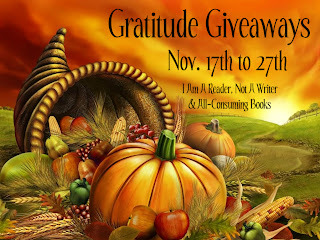 The Gratitude Giveaways Blog Hop, hosted by I Am A Reader, Not A Writer and All-Consuming Books, has begun. This hop is really special to us because we get to thank you--our readers who take the time to read our posts, comment, and make us feel like we're part of the worldwide book loving community. There are over 300 blogs participating and we hope you get to see them all. This hop runs from November 17th to 27th. 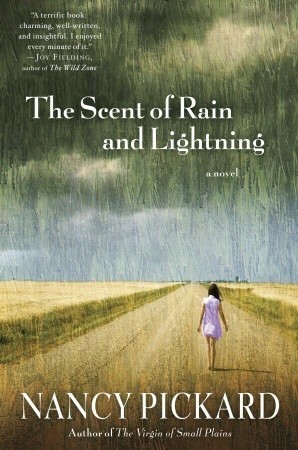 Our giveaway is US only (sorry, postage rates are high). All you need to do to enter is be a follower. For the full list of participating blogs, go here. + other surprise titles and swag! I stopped by from the hop. Great giveaways, no need to sign me up - I'm trying to reduce my TBR pile.